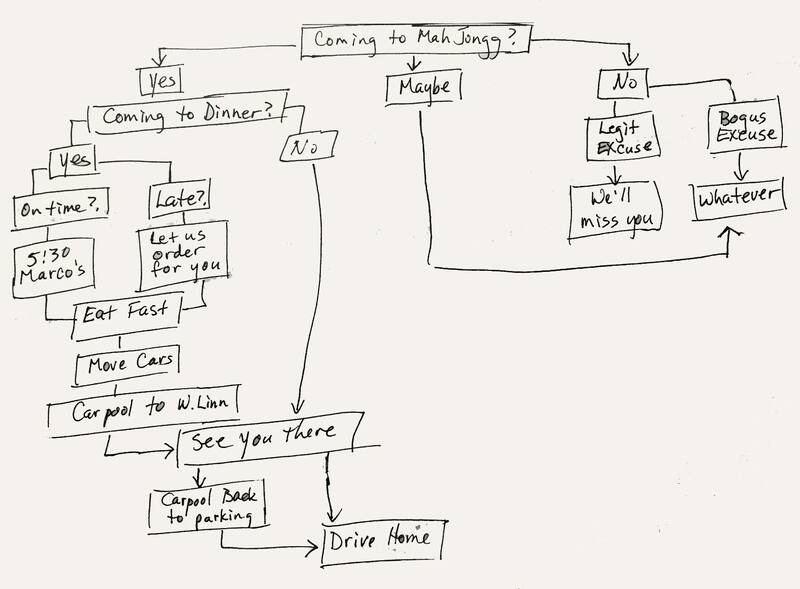 Thanks to Esther Bergman Liberman’s great sense of humor, here’s a “Mah Jongg flow chart.” Why do I suspect we all can relate to this?! 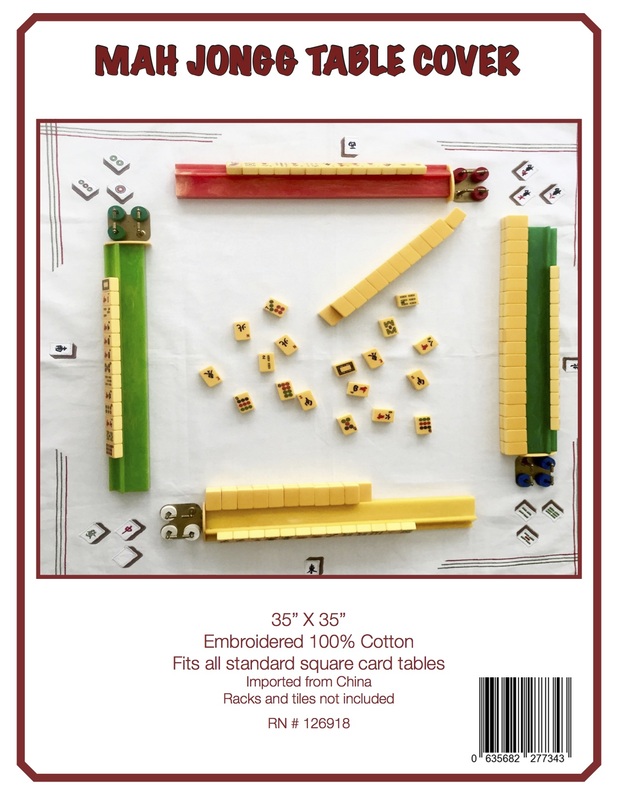 This entry was posted in Mah Jongg and Me and tagged flow chart, mah jongg, mahjong on June 20, 2016 by Mah Jongg and Me. 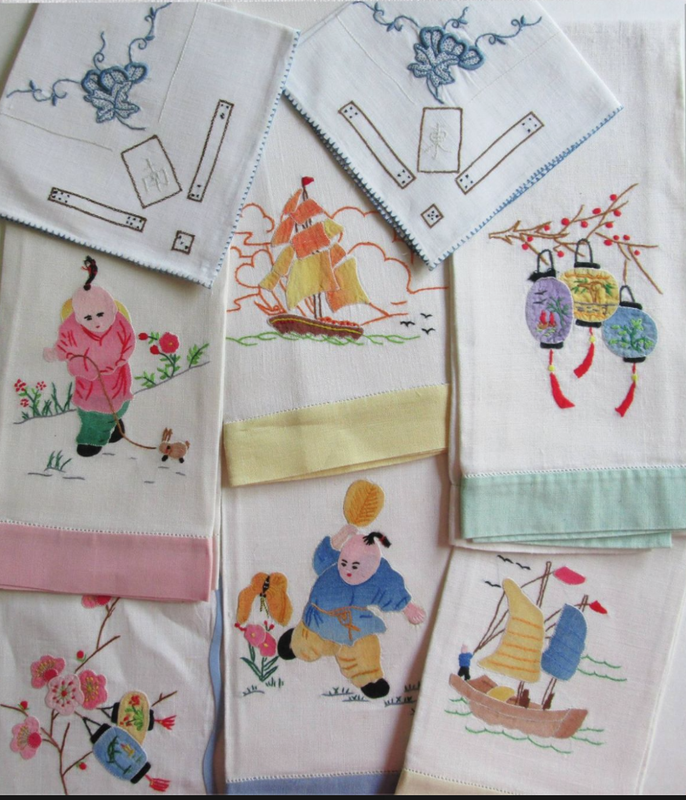 If you have any other Mah Jongg tea towels, send your photos to me and I will post them. 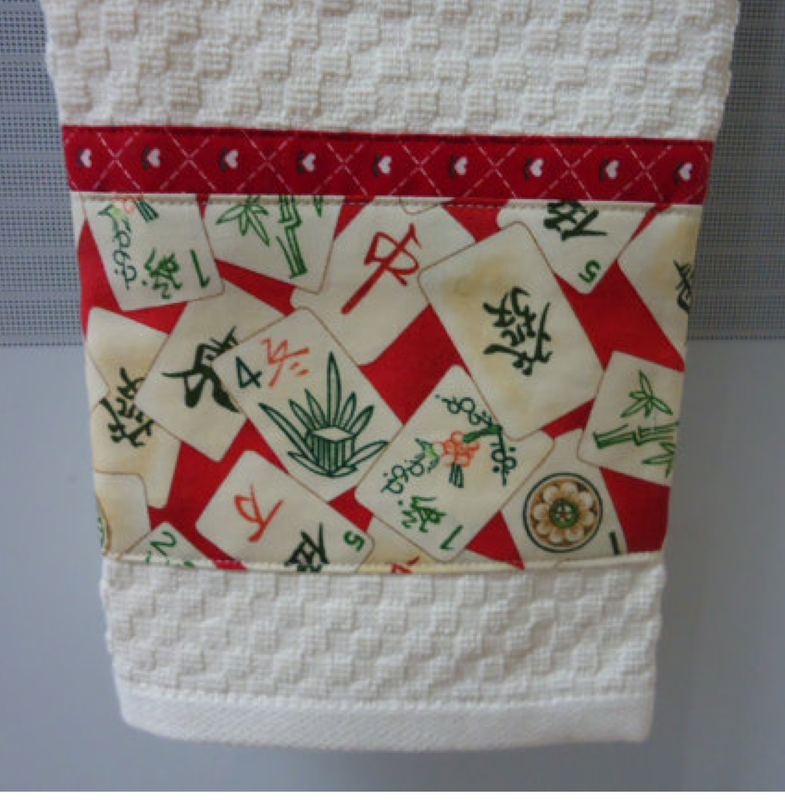 This entry was posted in Mah Jongg and Me and tagged Barbara Howard, embroidered, etsy, mah jongg, mahjong, myteatowels.com, tea towels, Zazzle on June 17, 2016 by Mah Jongg and Me. 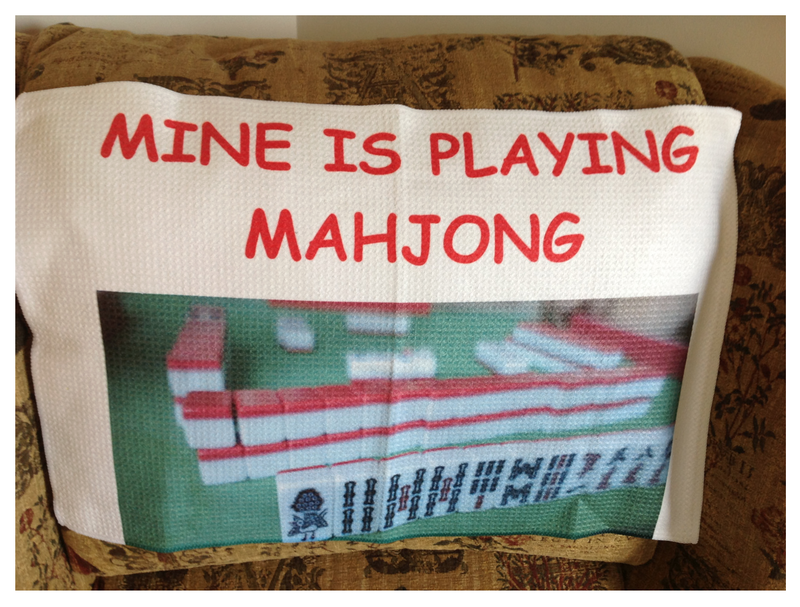 Once again, it’s time for Riderwood, the Erickson Living retirement community in Silver Spring, Maryland, to host its 9th Annual Mah Jongg Tournament on Thursday, August 11th! 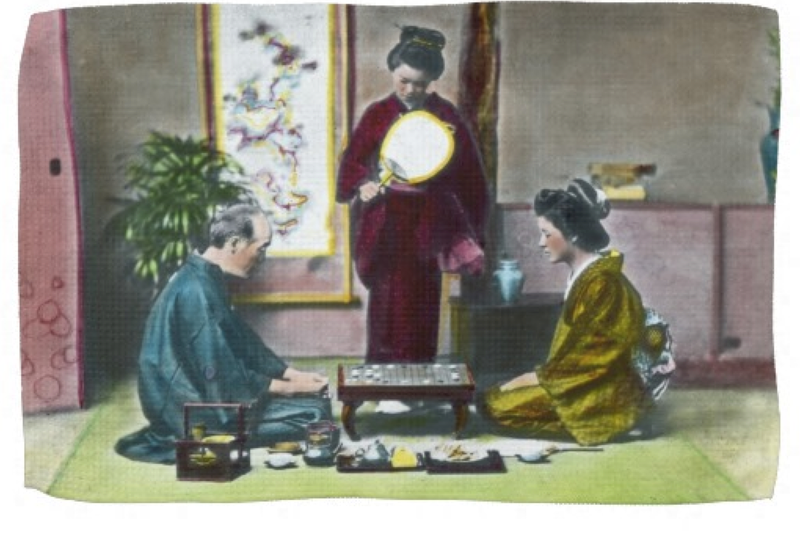 Open to the public, the five-round competition will be governed in accordance with rules established by the National Mah Jongg League. 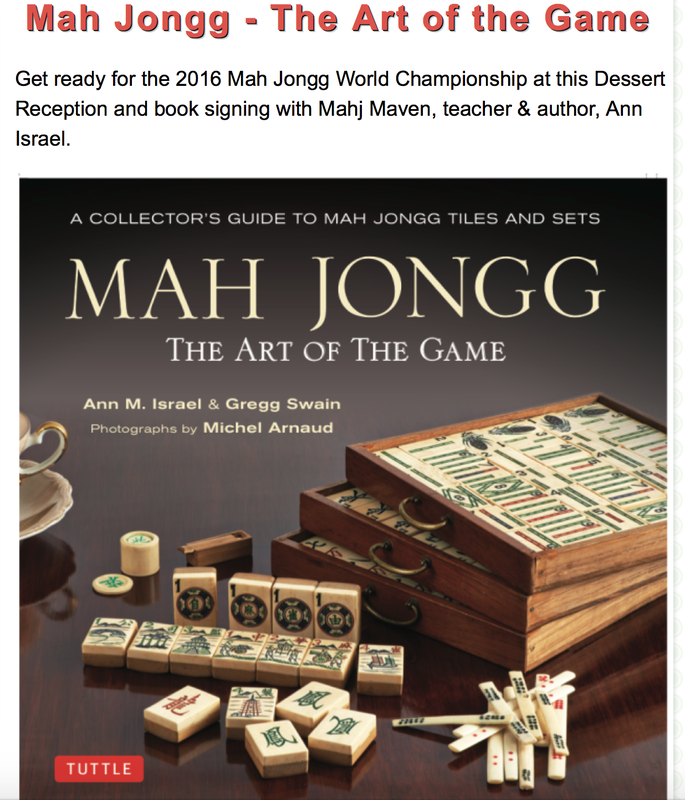 More than 148 Mah Jongg enthusiasts from the mid-Atlantic participated in the 2015 tourney!!! 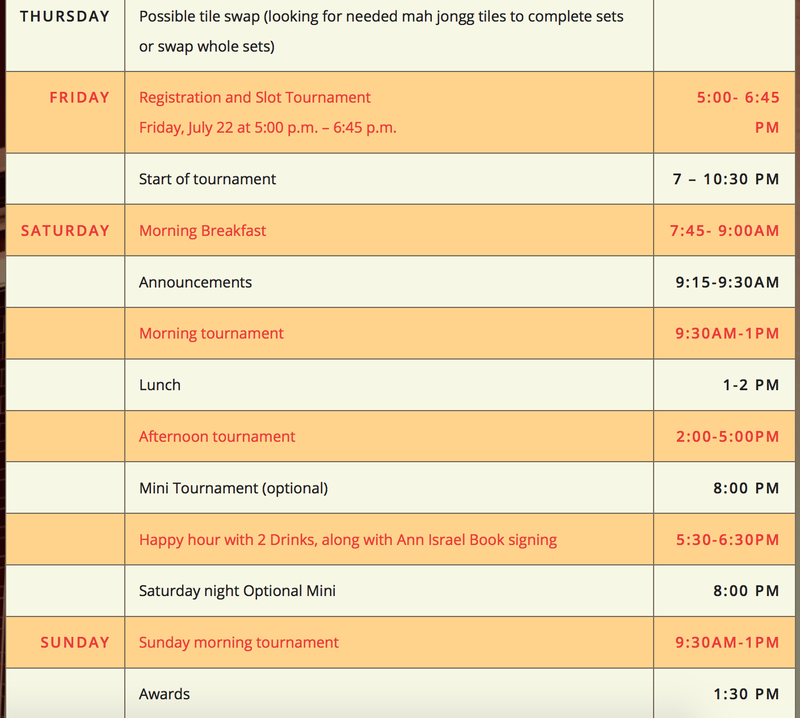 Registration will take place at 9:00am with tournament play beginning at 9:30am. The event will occur in Maryland Hall, located in the Montgomery Station Clubhouse of Riderwood (3120 Gracefield Road, Silver Spring, MD 20904). 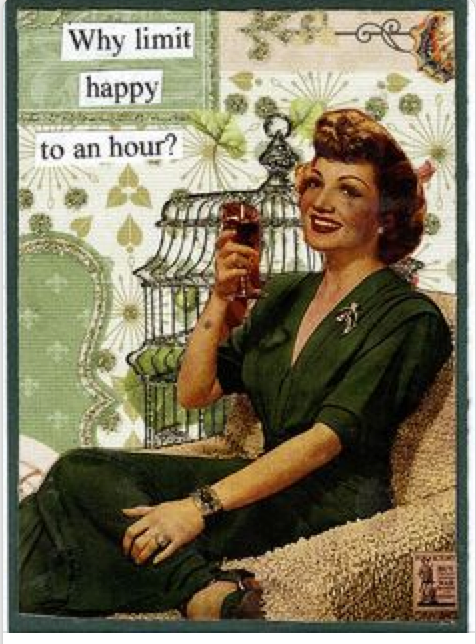 The event is a fundraiser for the Riderwood Benevolent Care Fund. A payment of $50 includes registration, a delicious lunch and prizes; $25 of the fee is tax deductible. 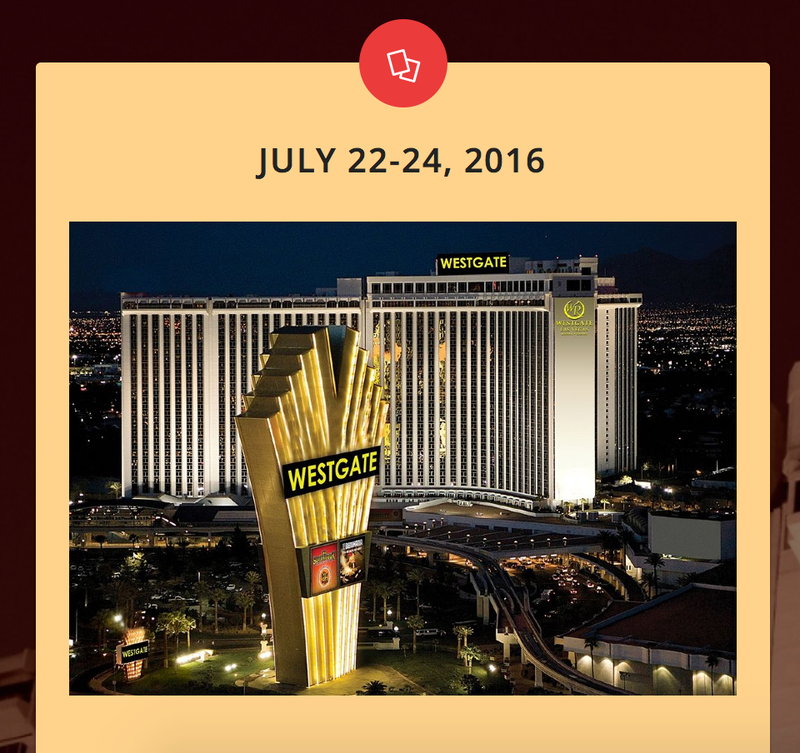 Space is limited with an entry deadline of Friday, July 22nd. Checks can be made payable to “Riderwood Benevolent Care Fund” and mailed to the Riderwood Philanthropy Department, 3110 Gracefield Road, Silver Spring, MD 20904. 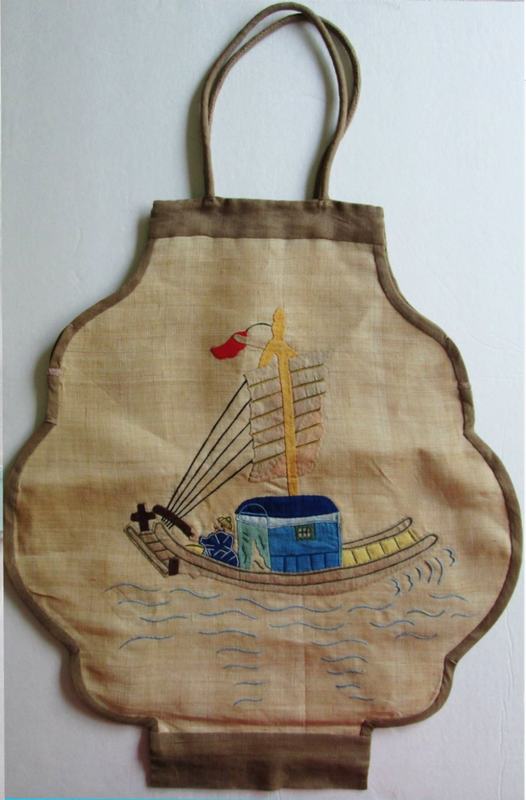 For more information, please contact Barbara Breit at 301-586-8152 or Annette Graubart at 301-960-9734. 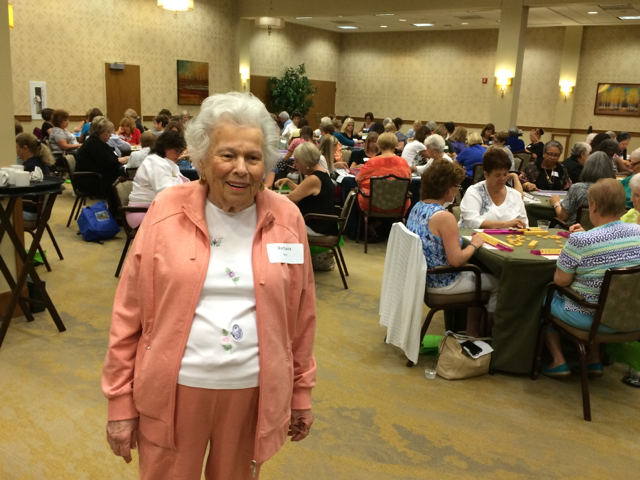 Riderwood resident Barbara Breit is pictured following her welcome remarks during the 2015 Mah Jongg Tournament at the Erickson Living retirement community. 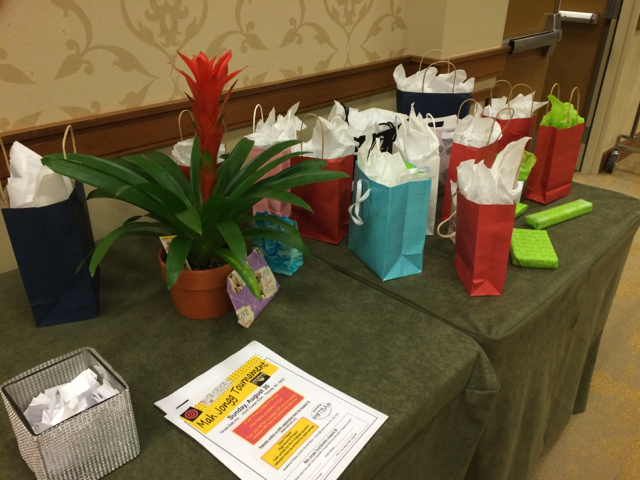 Prizes and goodie bags from the 2015 Mah Jongg tournament. 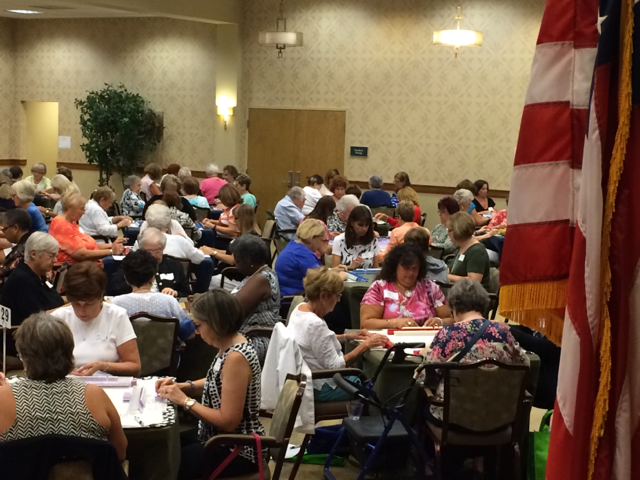 About Riderwood: Riderwood is one of nineteen continuing care retirement communities managed by Erickson Living. Located in Silver Spring, Maryland, the scenic 120-acre campus is home to more than 2,500 residents. Riderwood is the ideal greater Washington, D.C. retirement destination offering a true sense of community, convenience beyond compare and a sensible financial structure. 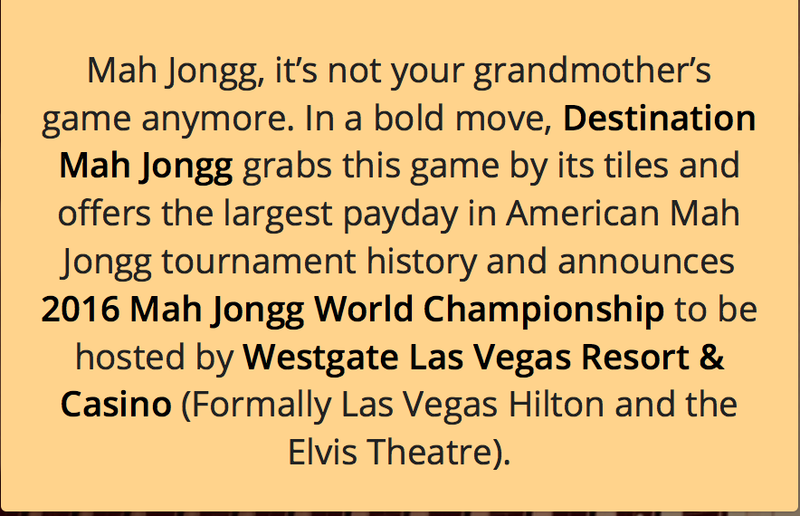 This entry was posted in Mah Jongg and Me and tagged Erickson Living Retirement Community, mah jongg, mahjong, MD, National Mah Jongg League, nmjl, Riderwood, Riderwood Benevolent Care Fund, Silver Spring on June 15, 2016 by Mah Jongg and Me. 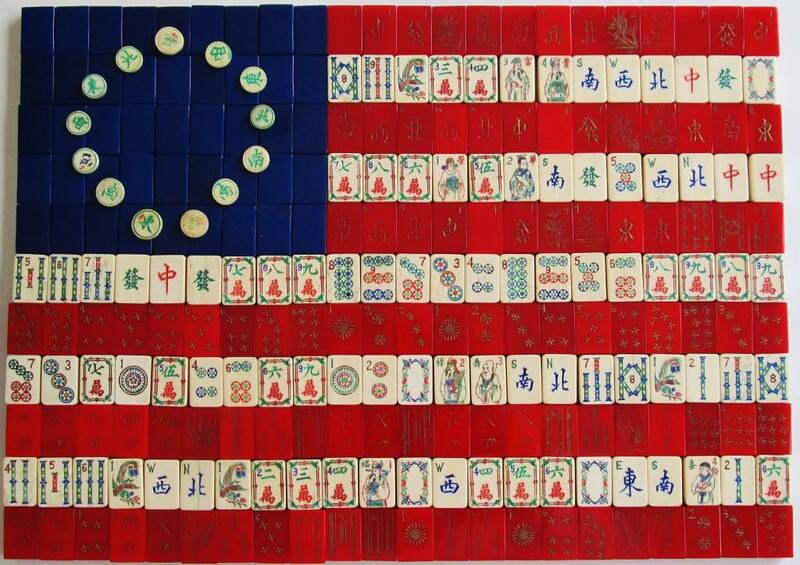 HAPPY (MAH JONGG) FLAG DAY!!! 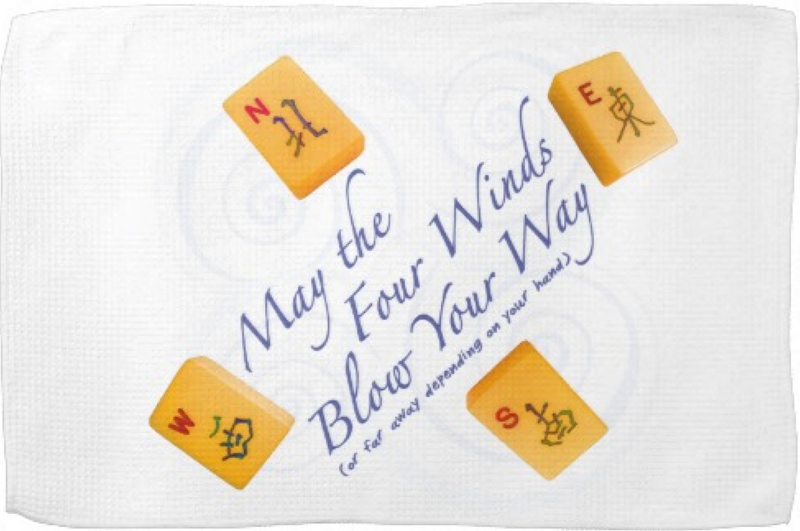 From the very creative mind – and hand – of our friend Kat…Happy Flag Day! 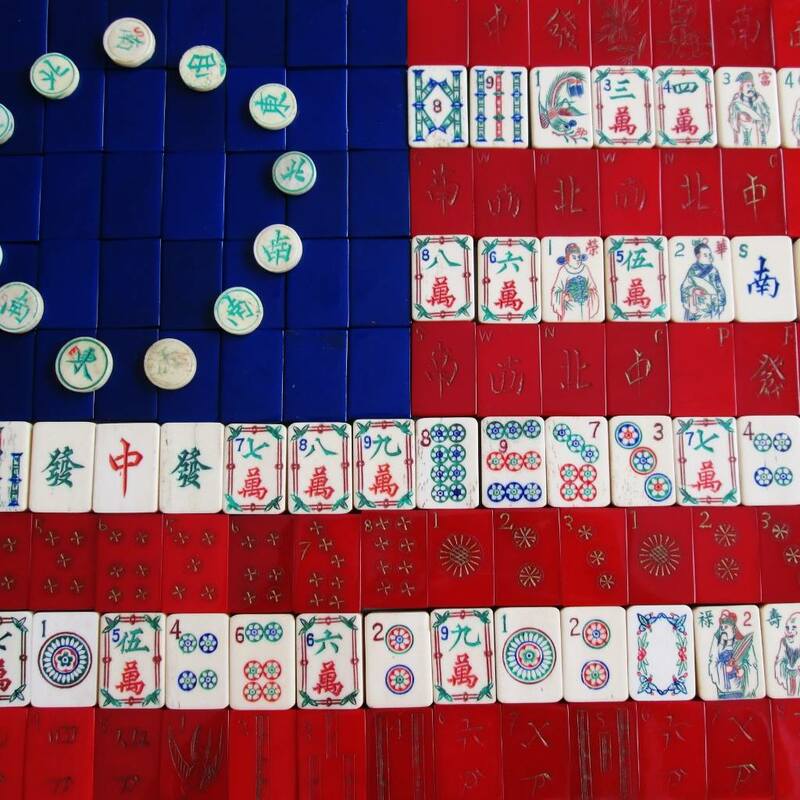 A closer look and an explanation: A Mah Jongg – or should I say, a Kat – rendition of a Betsy Ross flag made from the casein blue backs of tiles, red casein tile faces, faces from bone and bamboo tiles and, finally, the stars are bone wind disc indicators. 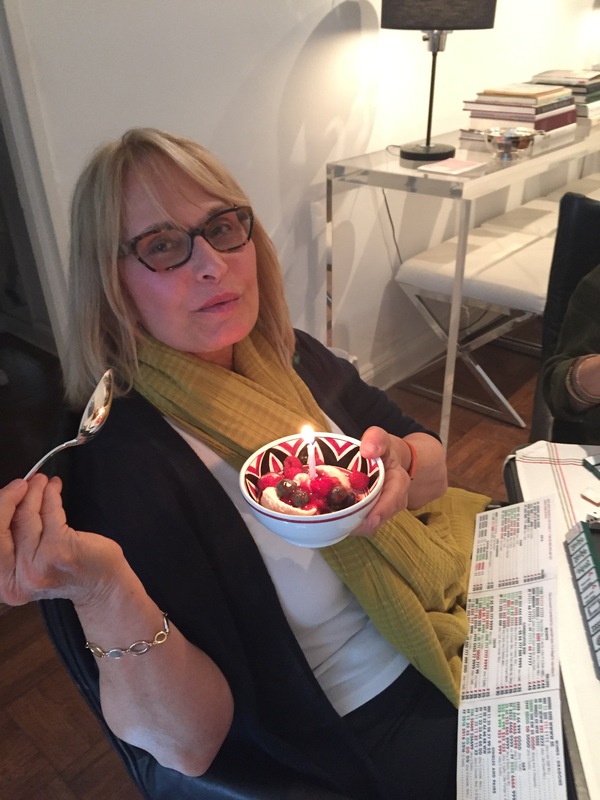 Thanks to Kat for this very special treat! 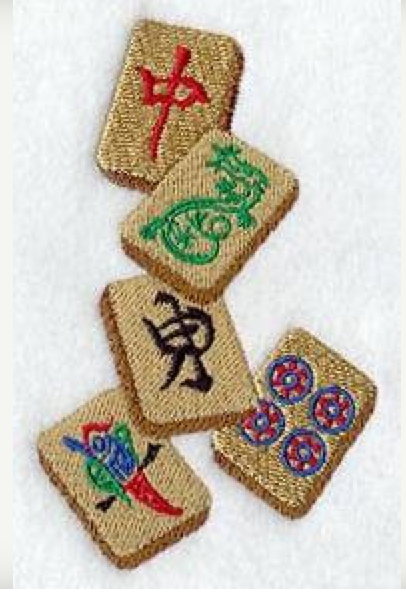 This entry was posted in Mah Jongg and Me and tagged bamboo, Betsy Ross, bone, casein, disc indicators, Flag Day, mah jongg, mahjong on June 14, 2016 by Mah Jongg and Me. 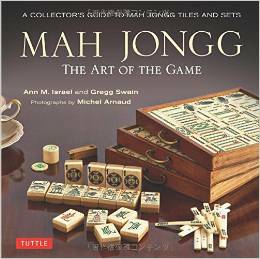 As promised, here are the recipes from our most recent and very fun Mah Jongg Wednesday. Combine the vodka, lemon juice, and sugar and pour into a cocktail shaker with ice. 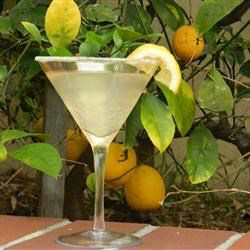 Pour into martini glasses and garnish with lemon. 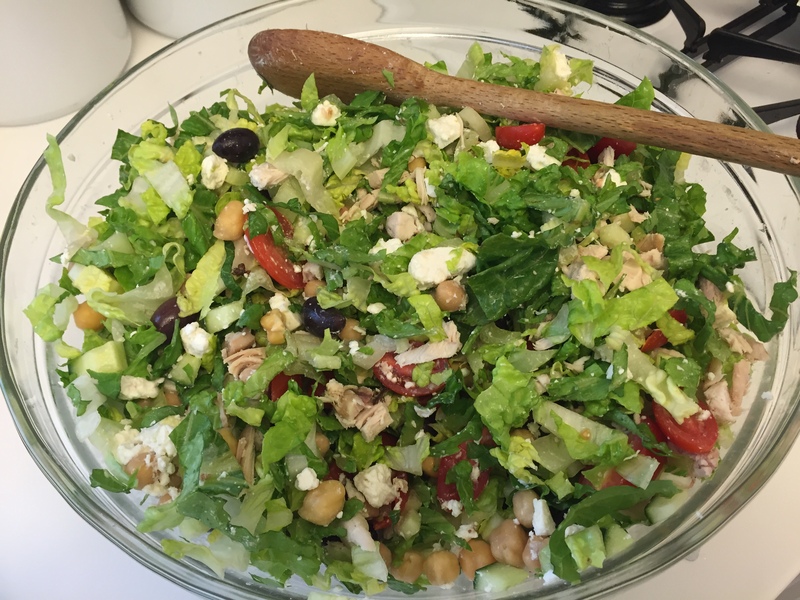 For our lunch I made a chopped salad inspired by Joe Trama, the executive chef at Grace’s Marketplace. Preheat the oven to 350 degrees. Wash and dry the chicken breasts and then rub them with olive oil. 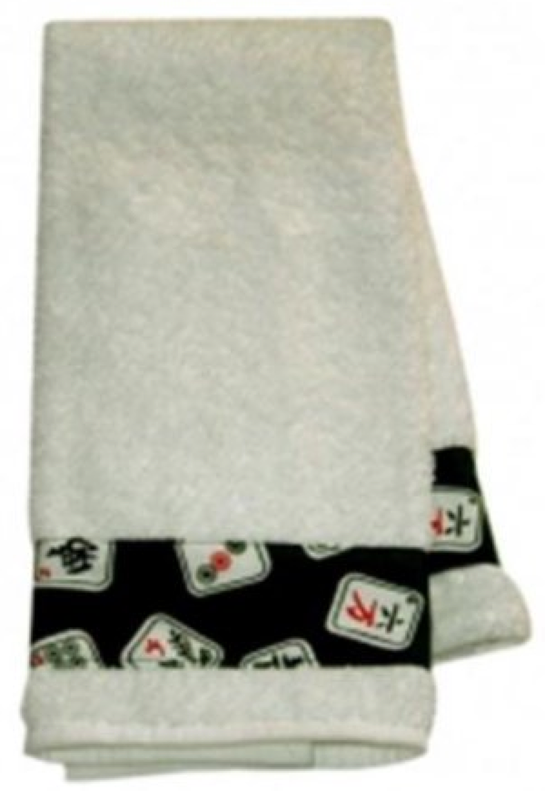 Sprinkle with Kosher salt and freshly ground pepper. Place them on a parchment paper-lined cookie sheet and cook for 35 – 40 minutes. 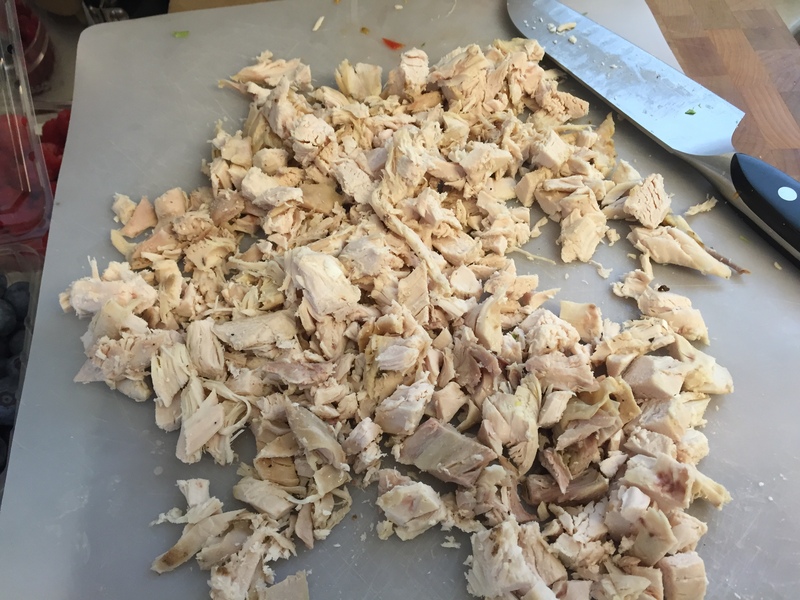 Once the chicken breasts have cooled enough to handle, remove the skin and dice the breasts into bite-sized pieces. 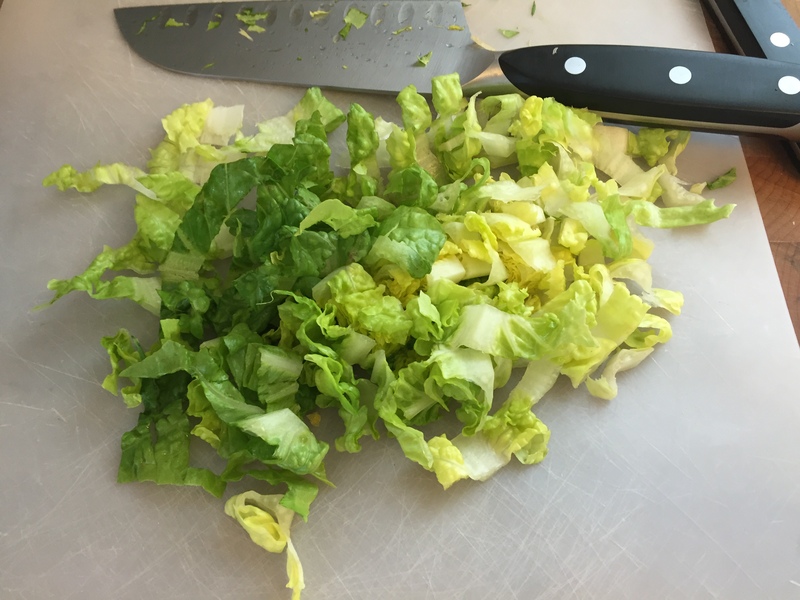 Shred the romaine lettuce and place in a large bowl. 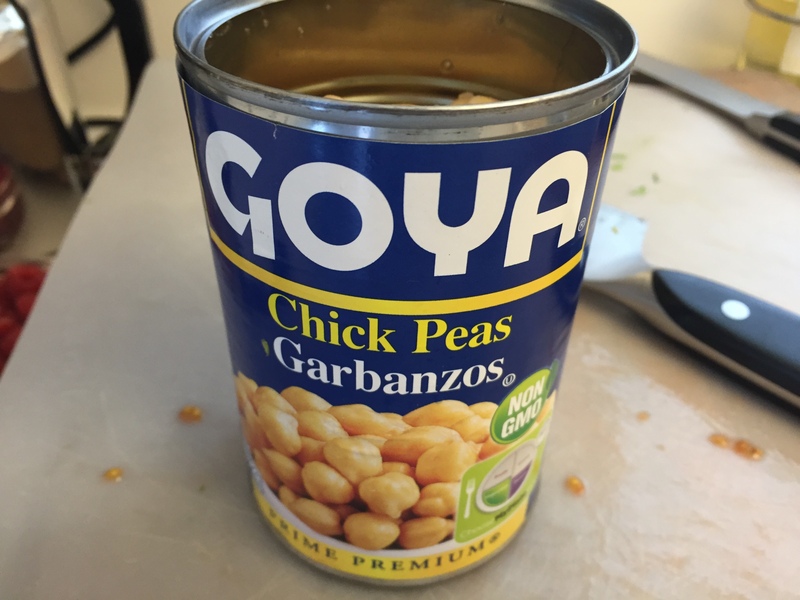 Add the Garbanzo beans and pitted Kalamata olives. 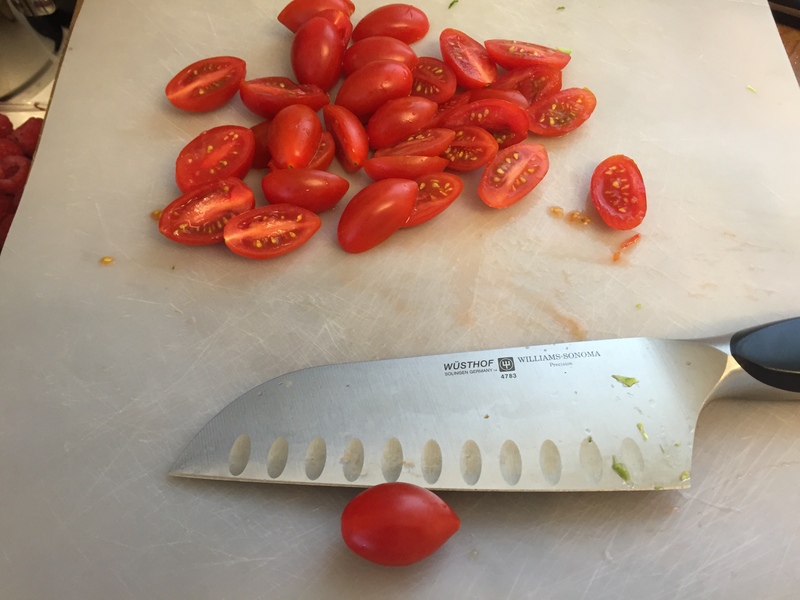 Cut the cherry tomatoes in half, length-wise. 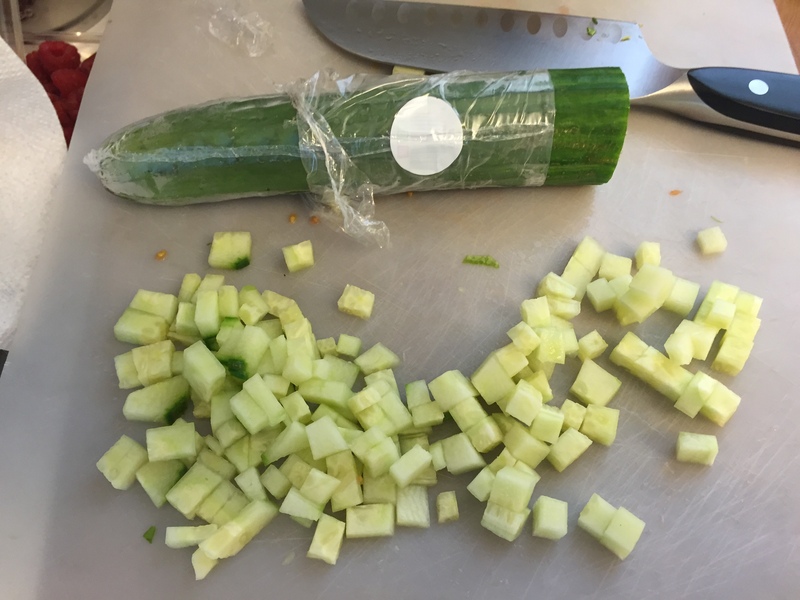 Cut the cucumber into small diced pieces. If you decide to add red onion, dice it up into small pieces and add to the bowl. 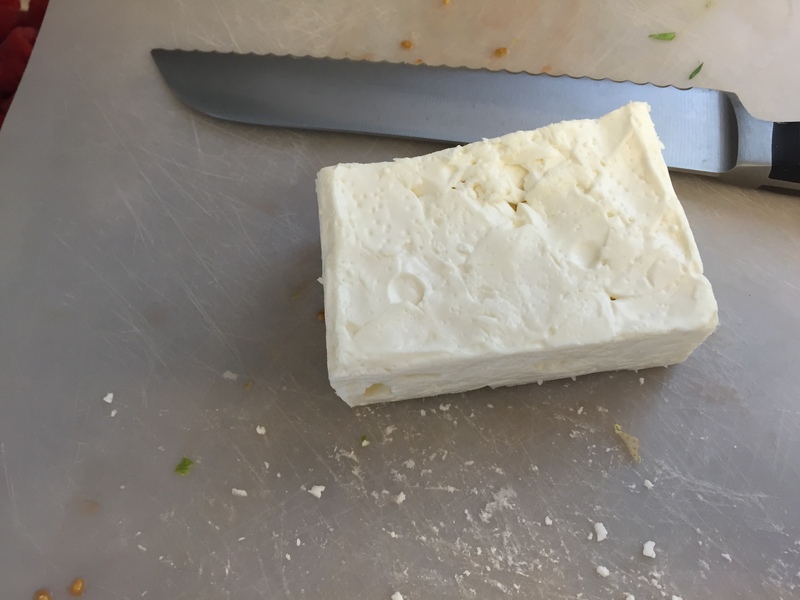 Break up the feta cheese. Add the chicken pieces and dress with a balsamic dressing. I don’t season this dressing as the olives and the feta are very salty. I put salt and pepper on the table and let everyone add them to their own taste. Pour the cooked raspberries, the jam, and Framboise into the bowl of a food processor fitted with the steel blade and process until smooth. When it was time for dessert I scooped Talenti Tahitian Vanilla Bean gelato into a bowl, added raspberries and blueberries, and then topped it all with that fabulous raspberry sauce. 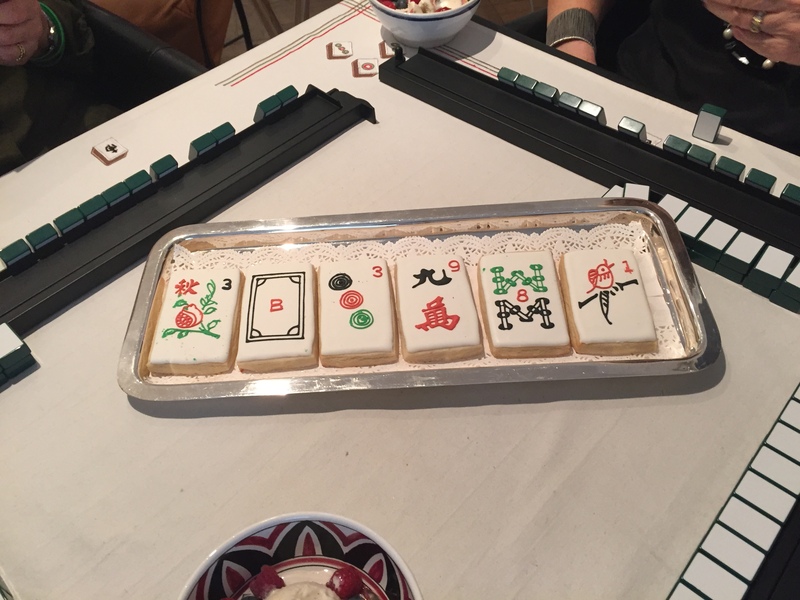 I usually serve some biscotti with this dessert but today we had those amazing Kristin Marin Mah Jongg cookies. Plus, S1 brought some AMAZING Dulce de Leche cookies – also known as Alfajores – and S2 brought some delicious miniature Madeleines. This entry was posted in Mah Jongg and Me and tagged Alfajores, Barefoot Contessa, Dulce de leche, executive chef, Framboise, Grace's Marketplace, Joe Trama, Kristin Marin, Lemon Drop cocktails, Madeleines, mah jongg, mahjong, talenti gelato on June 12, 2016 by Mah Jongg and Me.